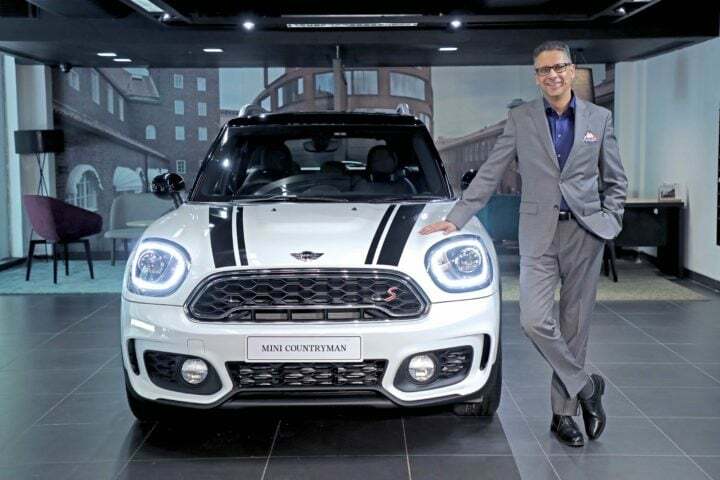 The lovable new MINI Countryman has launched in India. The SAV will be locally produced at BMW Chennai plant. Countryman comes in petrol and diesel variant with prices ranging between Rs 34.90 Lakhs to Rs 41.40 Lakhs. The bookings are open and deliveries will start from June 2018. We have always thought of MINI as the famous MINI Cooper, used by Mr Bean in this TV series. The lovable small car looks completely different, classy and beautiful now. The second generation of MINI Countryman is here in India, with bigger cabin space and improved riding quality. It is known as an SAV or a ‘Sports Activity Vehicle’. Countryman is available in three variants – Countryman Cooper S and Countryman Cooper S JCW in petrol and Countryman Cooper SD in Diesel. However, the second generation of Countryman receives a lot of updates against the first generation of the same. The new generation gets a bigger and wider body, perfect for 5 passengers going on an outstation trip. In the interiors, MINI Countryman gets Leatherette Carbon Black as standard upholstery and Leather Cross Punch Carbon Black for the Countryman Cooper S JCW. It gets the usual MINI virtual cockpit including a fully digital instrument cluster with 8-inch touch infotainment. The centre instrument cluster is useful for calling, music, multimedia and various functions of the car. Also, it gets a unique Picnic Bench that folds out of the luggage compartment to provide seating space for two. Automatic Tailgate combined with Comfort Access System allows the driver to open the boot and close it just by waving your foot under the rear fender. The new MINI Countryman sports a 2-Litre petrol engine with TwinPower Turbo technology. Both the petrol variants use the same engine which produces 192 BHP worth power and 280 Nm torque. It sprints 0-100 km/hr in 7.5 seconds, recording top speed of 225 km/hr. On the other hand, the diesel engine produces 190 BHP worth power and 400 Nm worth torque. It sprints 0-100 km/hr in 7.7 seconds, recording top speed of 220 km/hr. The petrol variant of the SAV sprints on an 8-speed automatic Steptronic transmission. The diesel variant gets an 8-speed sports automatic Steptronic transmission which comes with shift paddles. MINI Countryman offers proper driving assistance by giving features like Sport and Green Driving mode, Cruise Control, Park Assistant, Rear view camera and heads-up display. In terms of safety, it gets front and passenger airbags, Brake Assist, DSC, Crash Sensor, ABS, Cornering Brake Control and Run-flat tyres as standard. The car costs starting from Rs 34.90 Lakhs for the Cooper S variant, Rs 37.40 Lakhs for Cooper SD and Rs 41.40 Lakhs for Cooper S JCW. Also, the car gets other exterior features like a Panorama Glassroof, Harmon Kardon speakers, Electric seat adjustment and more. However, the new SAV is priced at nearly the same price of the first generation Countryman.